Guardian, the largest pharmacy, health and beauty retail chain in Malaysia is delighted to introduce the Botaneco Garden Baby range, expanding its Botaneco Garden line that uses ingredients harvested from nature, to serve and help protect the skin of littlest users. Every product in the Botaneco Garden Baby range uses organic chamomile extract and organic colloidal oatmeal and eco-certified olive oil which are selected ingredients to suite baby skin. The line has ingredients which are organic and is hypoallergenic, as well as being dermatologically tested & proven. The formulation is free from parabens, silicone, SLS, SLES, colorants, lanolin and DEA, giving parents peace-of-mind that baby is getting gentle, caring cleansing and pampering from the very first day. 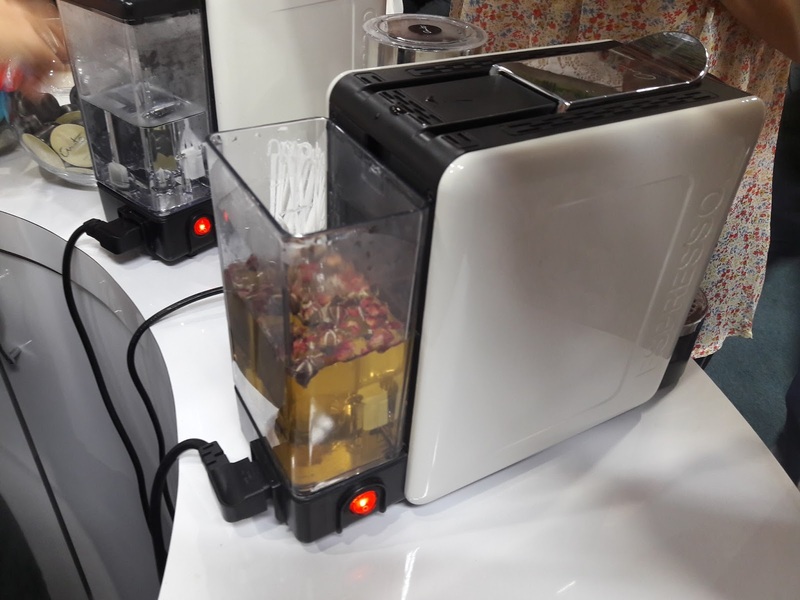 Affordably priced, Botaneco Guardian Baby brings quality hair and skincare within reach of more consumers. Botaneco Garden Baby Organic Chamomile & Oatmeal range uses a unique blend of organic chamomile extract to soothe skin, organic colloidal oatmeal to help protect the skin barrier, while Eco-Certified olive oil moisturizes both skin and hair. It consists of head-to-toe wash, baby body lotion, and facial & body cream. The entire line is developed and produced in Australia. Chamomile extract, which can also be found in the Botaneco Garden Baby range, is a popular ingredient in aromatherapy and skin care, that can soothe the skin. Colloidal oatmeal is high in starches and beta-glucan that make it protective and water-holding, with antioxidant and soothing properties. The cleansing effects of oats are due to saponins, which make it an ideal cleanser, moisturiser, buffer as well as a soothing and skin protective agent. Olive oil is packed with anti-oxidants such as squalene, that is known for its skin health benefits that can protect and hydrate skin when applied topically . The conditioning properties of olive oil provides moisturisation to the scalp and skin. 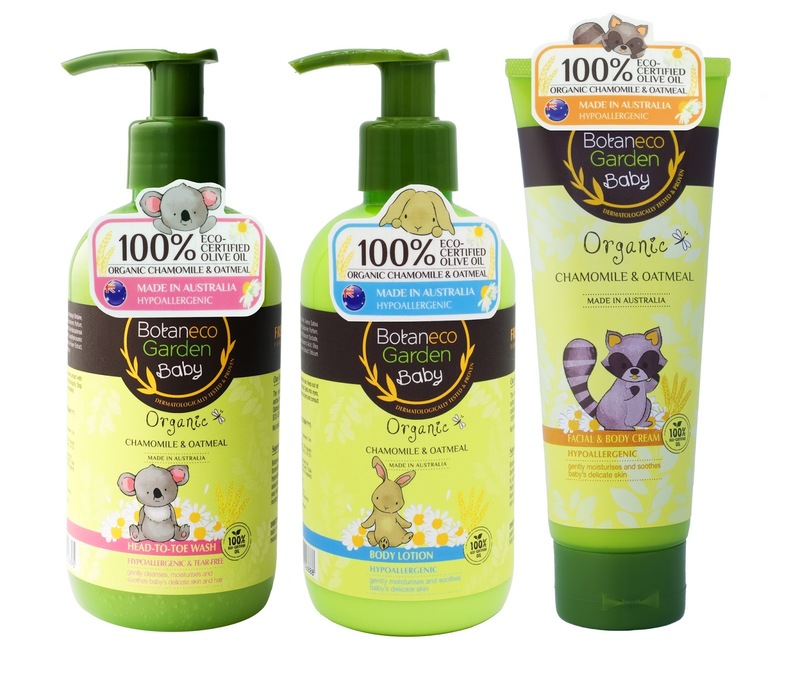 Get your little one to start off their skin and hair care with the Botaneco Garden Baby Organic Chamomile and Oatmeal line. 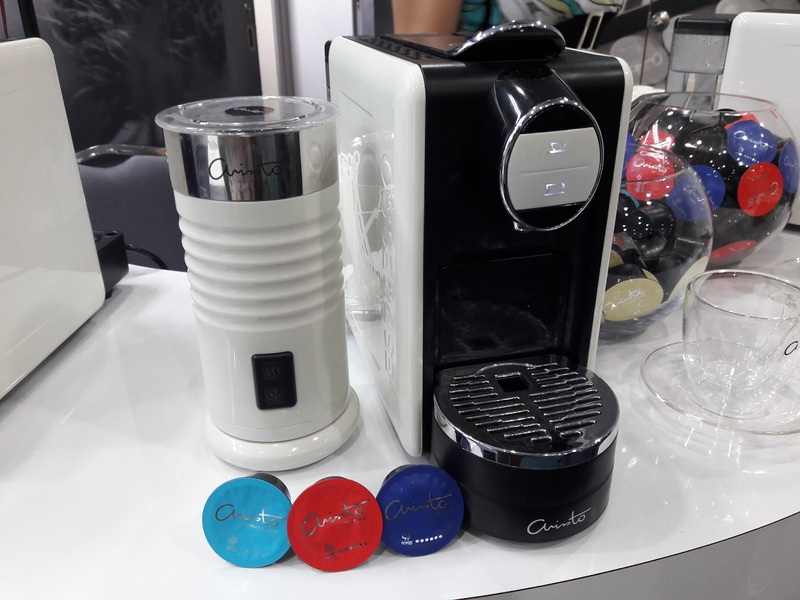 It is available nationwide exclusively at Guardian outlets nationwide, and at the e-store at https://online.guardian.com.my. Prices range from RM 22.90 to RM 31.90.
dimsum is pleased to premiere a singing show Top Singers on July 3. A top-rated Taiwanese show since 2010, a total of 26 episodes will be available in the new season and simulcast with Taiwan every Monday at 5pm. 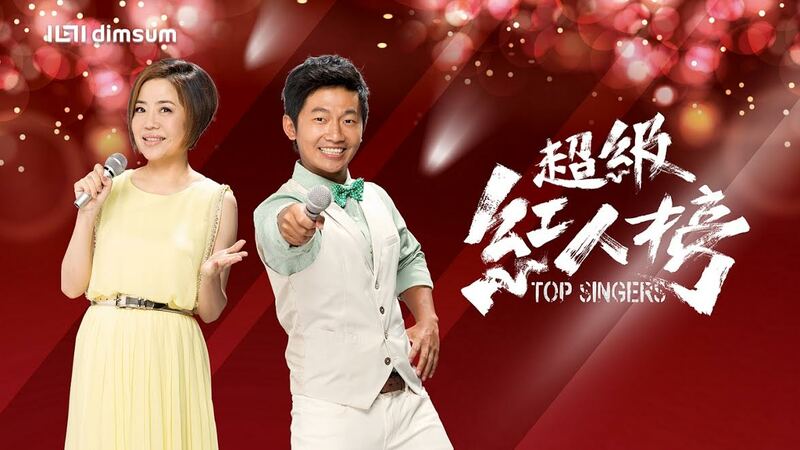 Top Singers is a singing competition akin to “Super Idol” but with a twist as contestants will be competing fully in Hokkien dialect. Hosted by Best Host Award nominee Belle Yu and Emerson, this show provides a stage for outstanding singers and composers of Taiwanese songs, while featuring classic Taiwanese pop songs such as Yearning for the Spring Winds, Flowers in a Raining Night, The Romantic Dream by the River, The Redness in the Snow etc. 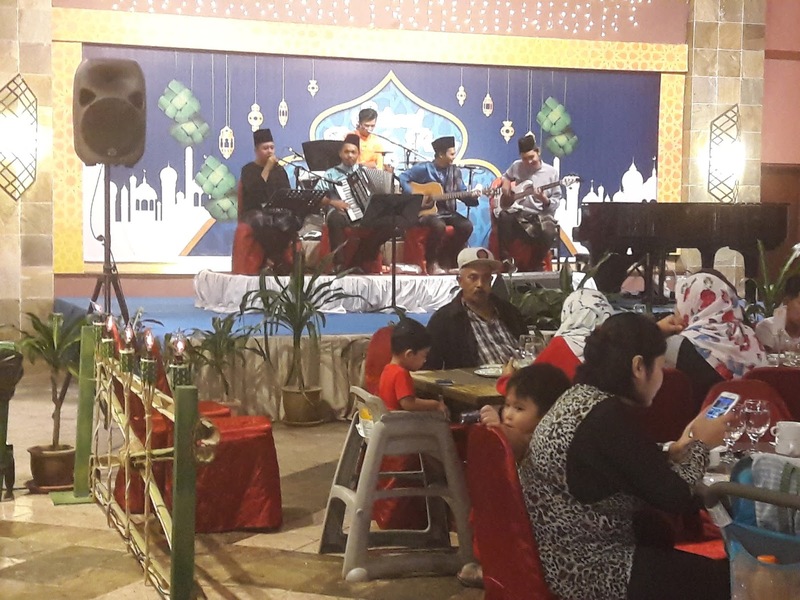 The show comprises the elements of contest, variety, songs and the stories of the locals and welcomes contestants of any age. It aims to discover grassroots singers of Taiwanese songs to find more talented people for the entertainment industry of Taiwan. dimsum is currently available in Malaysia and Brunei, supporting Chromecast and AirPlay for subscribers to binge-watch all on TV, with subscription priced at only RM15 a month. 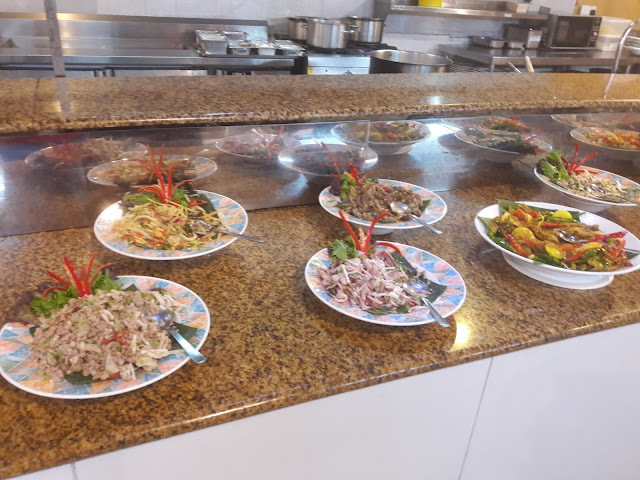 Download dimsum app today from Apple App Store or Google Play Store or stream directly from dimsum.my. All new subscribers will enjoy 30 days of free access to stream the best of Asia. For more information, visit dimsum.my, dimsum official Facebook (facebook.com/dimsum.my) or Instagram (@dimsum.my). 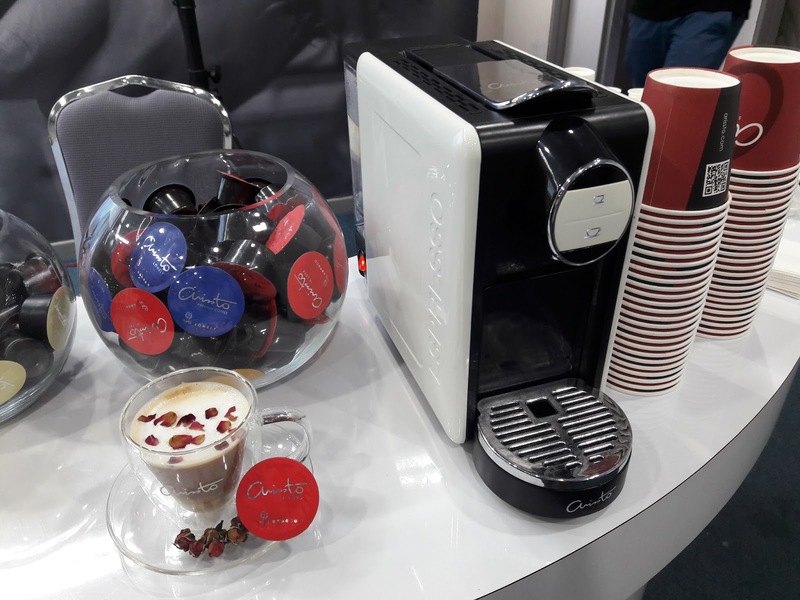 If you are a coffee lover or someone who must drink a cup or two of coffee a day, you will definitely want to read more about Arissto Capsule Coffee and the Arissto Coffee Machine, the Happy Maker. Arissto Capsule Coffee is Italian Premium Coffee that can be made at the comfort of your own home or office in just about 30 seconds with the Happy Maker. Find it hard to believe? Arissto Premium Coffee are sourced from various countries including Brazil, Columbia, Costa Rica, Kenya and Ethiopia. The highest quality beans are chosen. There are six types of flavors : Peace, Moonlight, Lonely, In Love, Sunrise and Passion. My favorite flavor is Arissto In Love which is sweeter with low bitterness level. Arissto Lonely would be great for those who love more bitterness. The Arissto Happy Maker size is 347 mm (L) x 120 mm (W) x 245 mm (H). It is light and small weighing 3.4kg. The water tank can hold 800 ml of water and can be refilled easily. This Arissto Happy Maker is very easy to use. 1. Fill the tank with water or if you prefer some other flavors like peppermint or rose water, you can put that in the tank. 2. Then turn on the switch. 3. Lift the lever up to put the Arissto Coffee Capsule in the slot. 4. Press the start brew button in the front. 5. 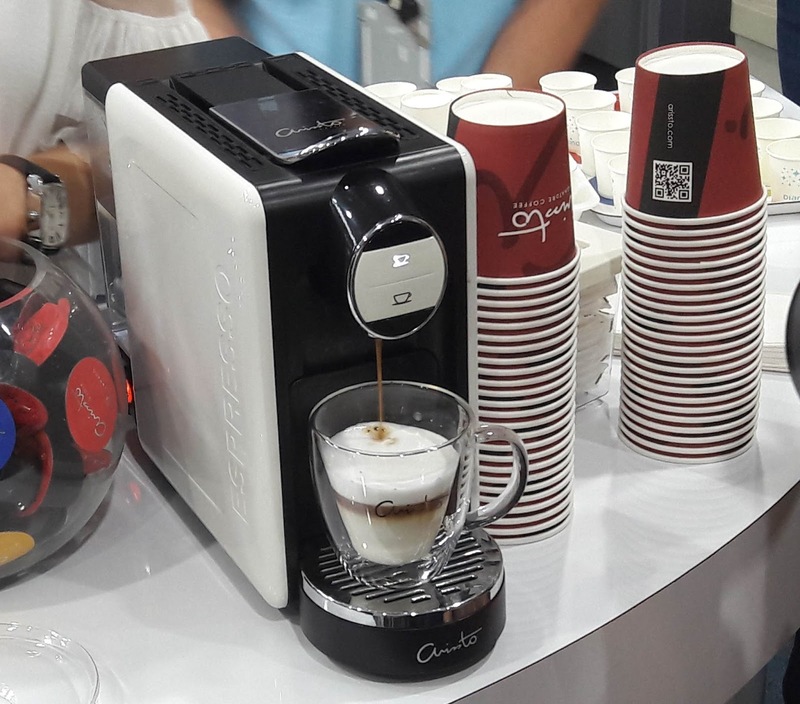 Wait for your nice aromatic coffee. 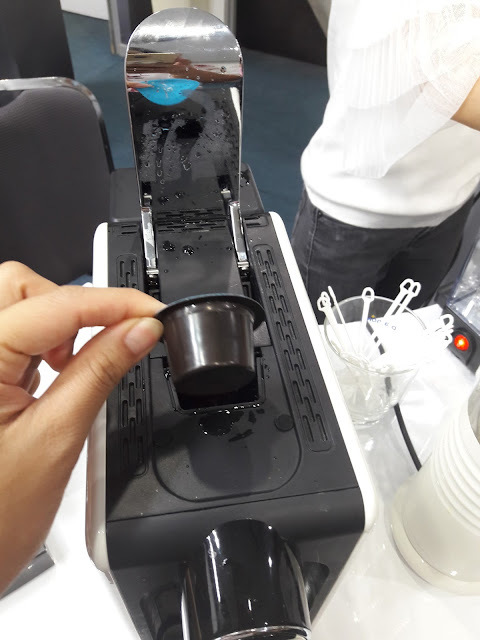 The Arissto coffee capsules are pushed to the capsule basket to be thrown away. The capsule basket can be washed easily. 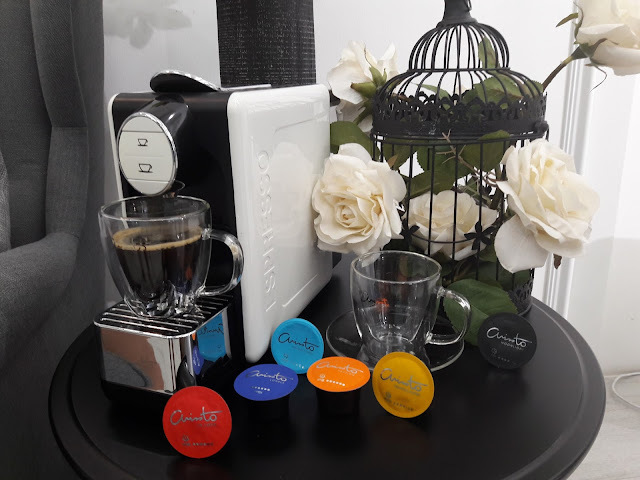 Get your free trial of Arissto Coffee by registering at http://arissto.com/my/free-experience-online-registration-form/. There is a Coffee Charity Challenge where you can compare your favorite coffee and Arissto premium coffee. You can help the poor children. 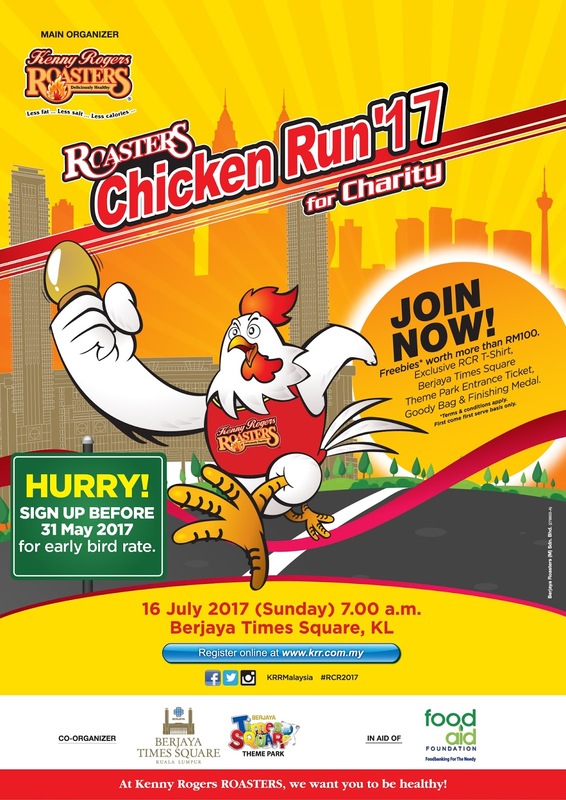 You just need to register at http://arissto.com/my/coffee-charity-challenge/, let them know your favorite coffee, time & venue of challenge and lastly post your photo to Facebook. For more information, visit Arissto Official Website : https://www.arissto.com and Arissto Facebook : https://www.facebook.com/arisstoofficial/. 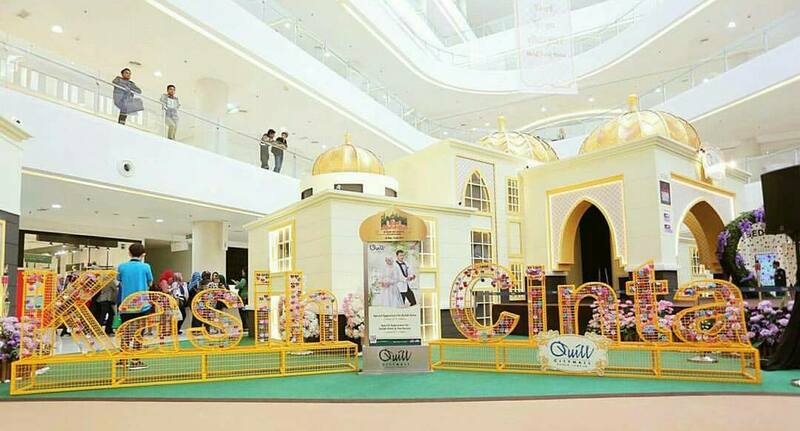 The cast of the most-awaited Thai idol drama of the year, Princess Hours will be coming to meet their fans in Malaysia on Sunday, July 9th. In conjunction with the exclusive premiere of the drama, dimsum is proud to present Princess Hours, Malaysia Tour to meet Prince Tao Sattaphong Phiangphor, Princess Pattie Ungsumalynn Sirapatsakmetha, Phan Stephane Saisean Pagniez and Bebe Thanchanok Ritnaka in person. The cast appearance will be at LG2, Central Avenue Sunway Pyramid Shopping Mall on July 9 (Sunday) at 3pm. During the tour, Tao, Pattie, Phan and Bebe will share their moments with fans and will be interacting with the audience through several stage games and activities. dimsum will also be to organizing an exclusive Princess Hours private screening party at Capri by Fraser, KL Malaysia on July 8 (Saturday) at 8pm. To win the exclusive passes to the event, fans are encouraged to follow dimsum’s official Facebook for further information and updates. 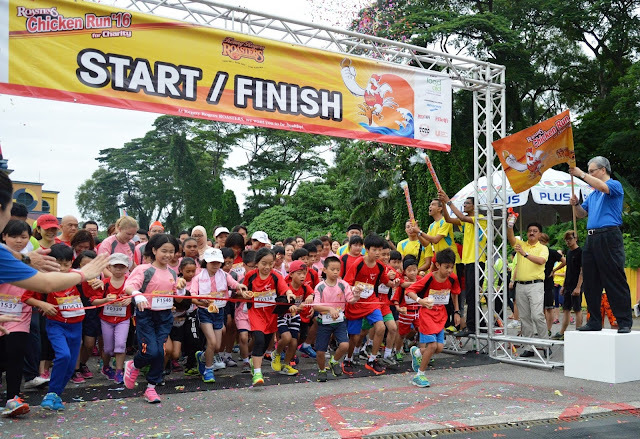 Princess Hours Malaysia Tour is organized by dimsum, supported by official venue – Sunway Pyramid, Official hotel – Capri by Fraser, KL Malaysia, Official Radio – Suria FM and Supporting Radio – 988. Special thanks to Grab, M&M and Pappa Delivery and Tuk Tuk Cha. 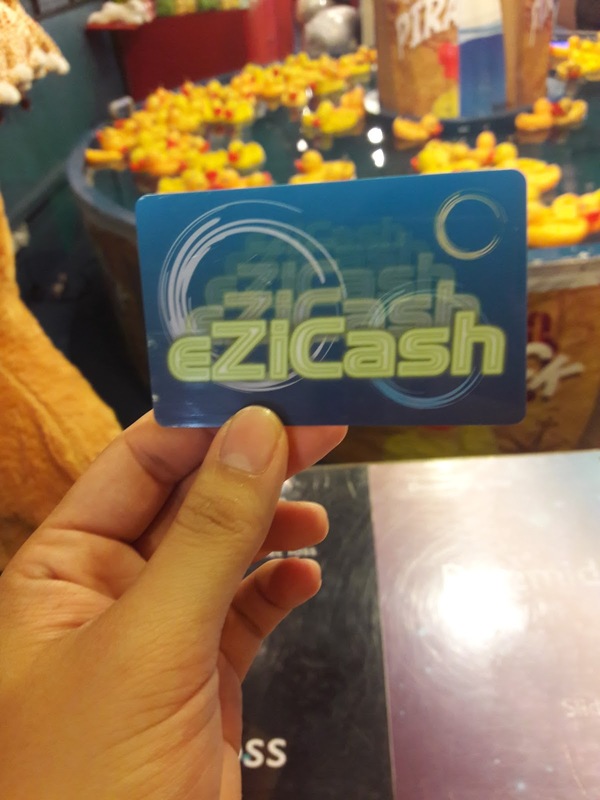 During the tour on July 9, all fans will enjoy a RM5 off 2 rides to and from Sunway Pyramid Shopping Mall when using Grab. Just apply the promo code GRABPRINCESS17 and pay through GrabPay. All active dimsum subscribers are also entitled for a 10% discount for each single-receipt purchase at Tuk Tuk Cha Sunway Pyramid. Langkawi is a very beautiful place to visit. I have been to Langkawi twice and would love to visit again. There are many things to see and do there with your family. Lots of good food to eat as well. 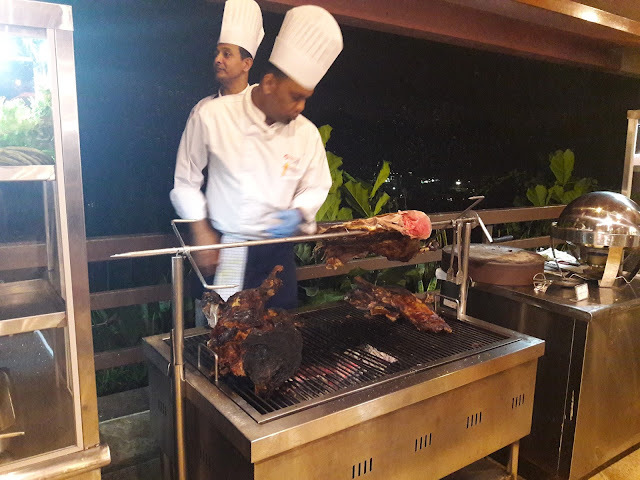 If you are planning a vacation in Malaysia, you can consider visiting the beautiful Langkawi island because you will love it here. Here are some popular attractions you can find in Langkawi. 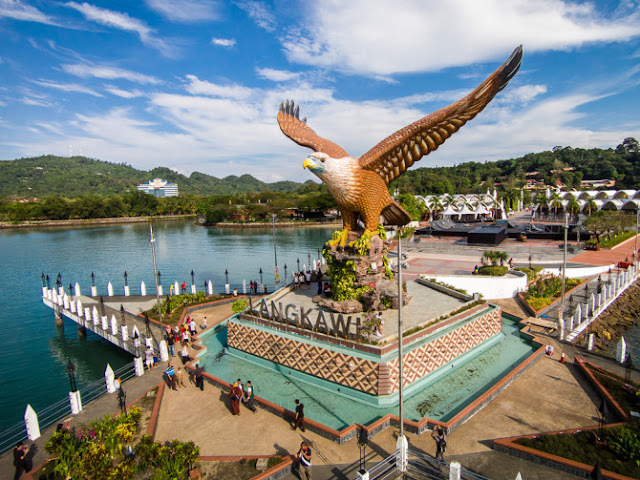 The Langkawi Eagle Square also known as 'Dataran Lang' is the best known man-made sculpture of a large eagle ready to take off. The 12 meter tall statue is one of the island's most recognizable monuments. You can take a walk to see the beautiful landscape here and it would be great to come in the evening to see the sunset. Have you ever seen a black sand beach before? It was my first time seeing black sand at Langkawi Black Sand Beach. This is a popular tourist attraction because of its unique color of the sand. 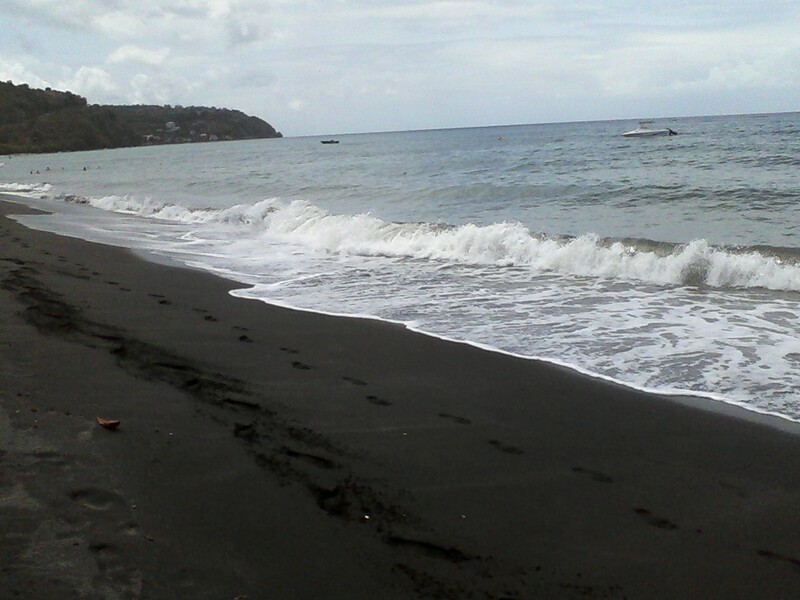 If your family loves to play at beaches and build sand castles, come here to see something unique, black color sand. Underwater World Langkawi is one of the largest marine and freshwater aquariums in Southeast Asia. 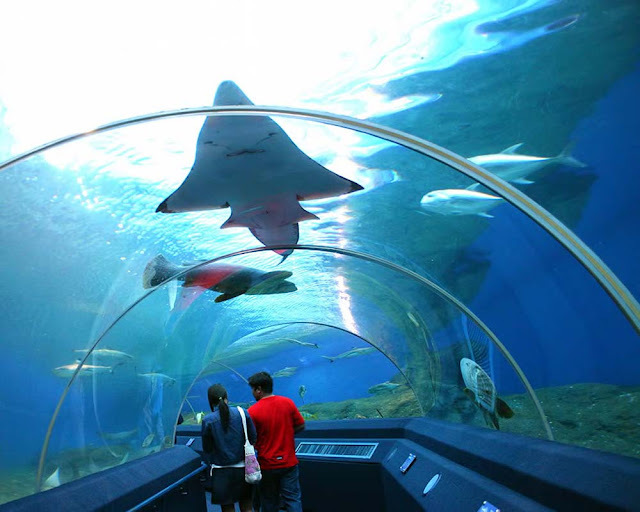 It has an underwater tunnel where you can see sharks, stingrays and other sea creatures swim around you. This is the perfect family tourist attractions where you can learn more about sea creatures. It will be fun and educational for the whole family. The Langkawi Crocodile Farm is 10 acres in size with lush greenery making it look like a recreation park. There are more than 1000 crocodiles in different ponds. The main attractions here are the Crocodile Feeding and Crocodile Show. 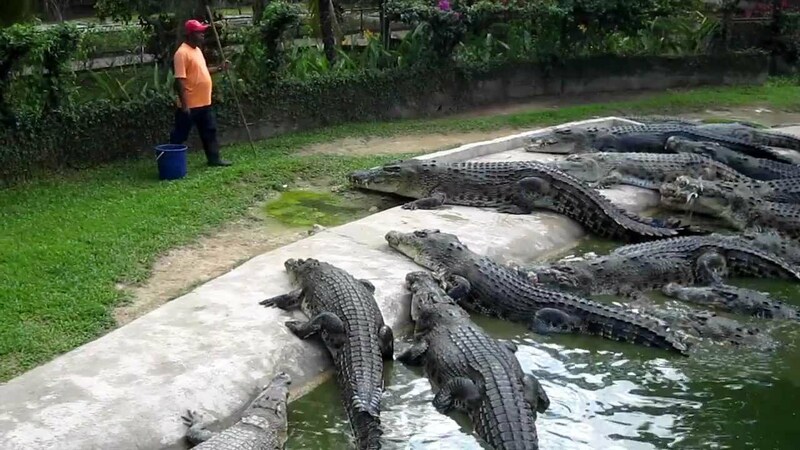 During the feeding, the trainer will blow his whistle loudly and the crocodiles will go nearer to him. Then he will feed the crocodiles at close range. 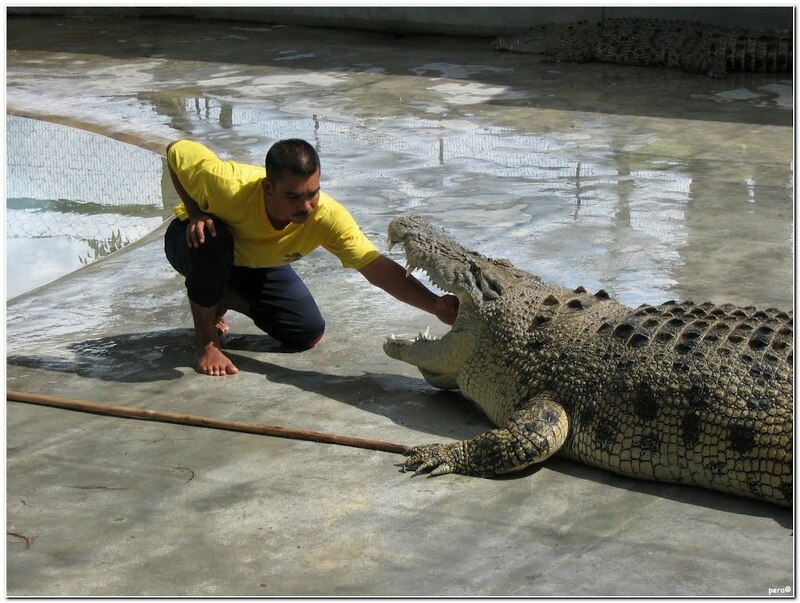 The Crocodile show is very dangerous because the trainer will put his hand or even head in the crocodile's mouth when it is open for a long time. If you enjoy seeing beautiful scenery from above, you will enjoy the Langkawi Cable Car Ride. 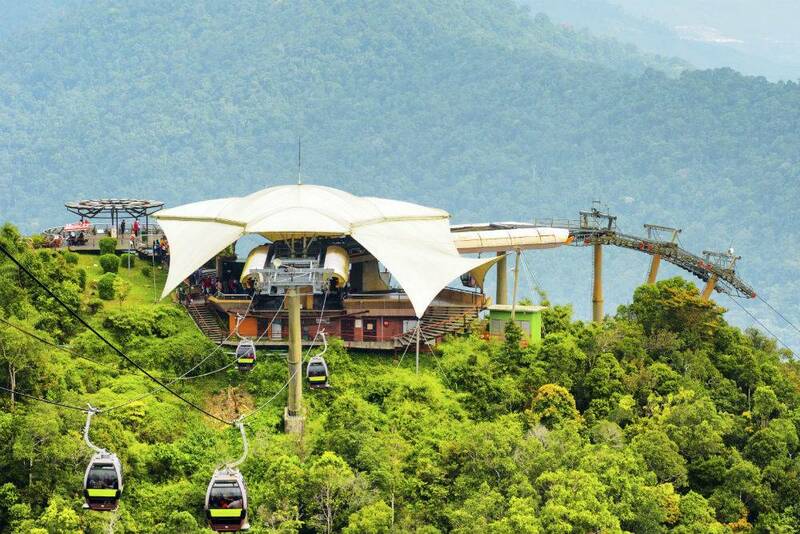 This cable car ride takes you to the top of Mount Mat Chinchang for a birds eye view of Langkawi. 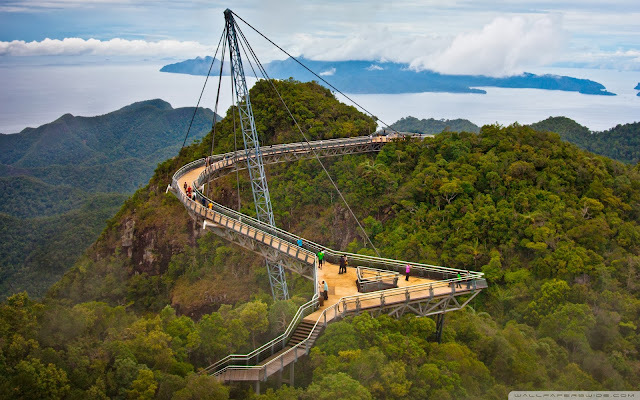 Take a breathtaking walk along the Langkawi Sky Bridge to experience the awesome view. 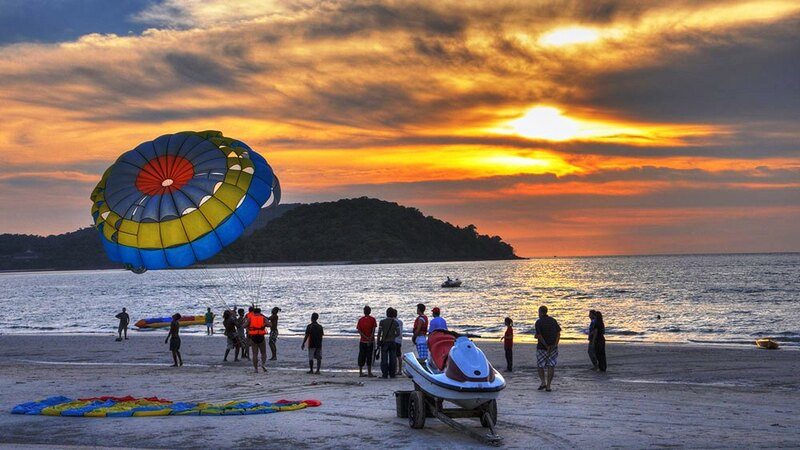 There are also many watersports activities you can play at the Langkawi beaches. One of them is the parasailing which I have tried before. I love the view from the top while the wind was blowing at me. It was an awesome experience and I would love to do it again. 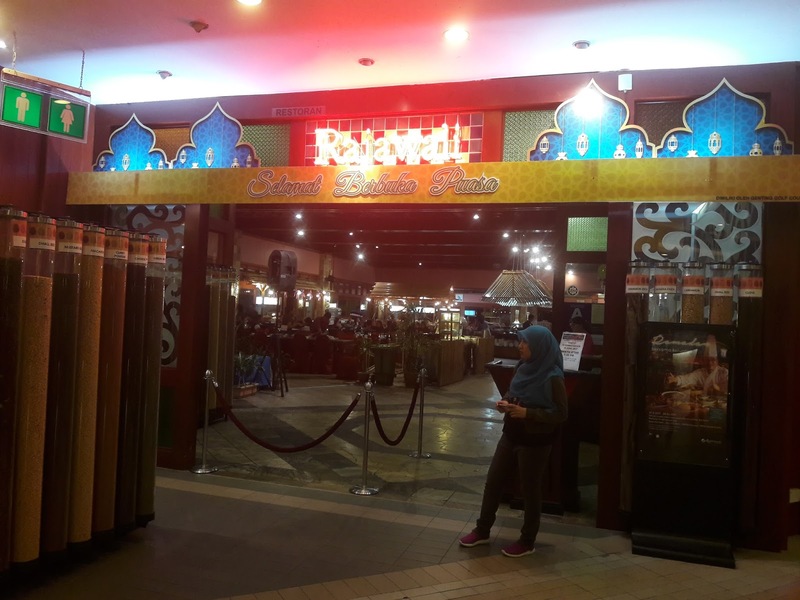 Besides these places mentioned above, there are many more places of attractions in Langkawi namely Langkawi Wildlife Park, Telaga Tujuh Waterfalls, Rice Museum, Dayang Bunting Island, Langkawi Night Market, Atma Alam Batik Village and Mahsuri's Tomb. 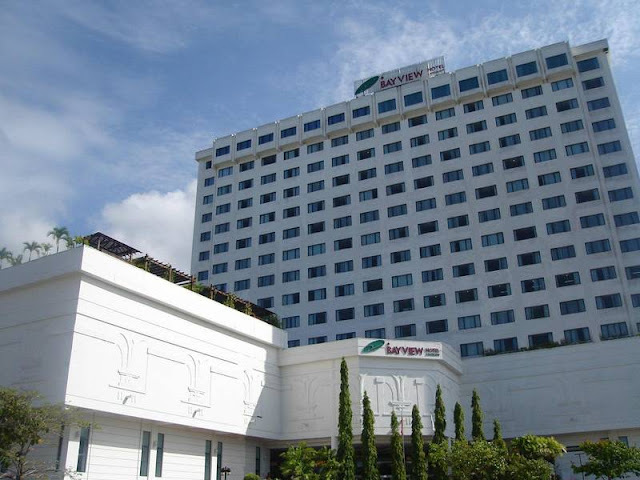 There is a very good hotel, Bayview Hotel Langkawi located at Jalan Pandak Mayah 1, Pusat Bandar Kuah, Langkawi. This hotel is near the Langkawi Eagle Square or 'Dataran Lang'. To find for the best deals for Bayview Hotel Langkawi, book it today online. 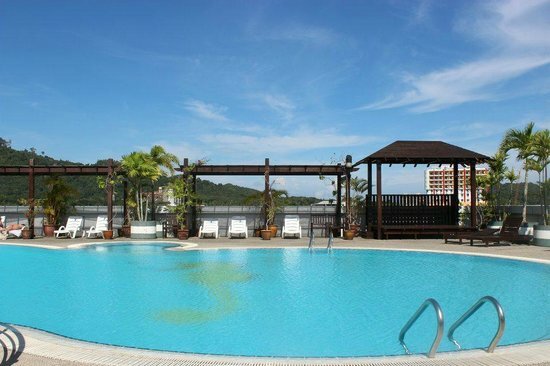 When you want to plan your trip to Langkawi, you can always use Traveloka page https://www.traveloka.com/en-my/ to get the best deals for hotels and flight tickets. 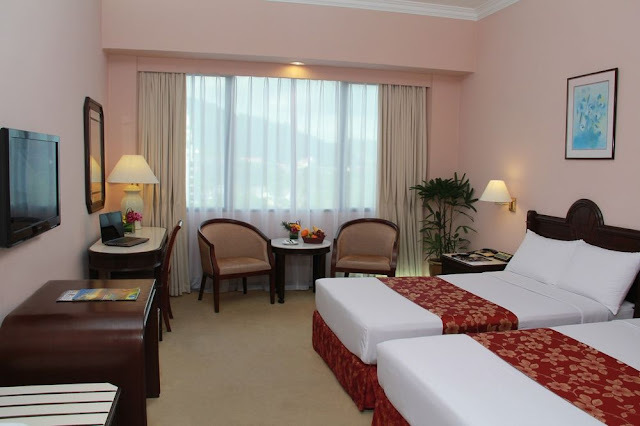 Langkawi is a very beautiful island and after your first visit, you will want to come back again. Have a happy vacation in Langkawi! Quill City Mall is a great family shopping destination in Kuala Lumpur. 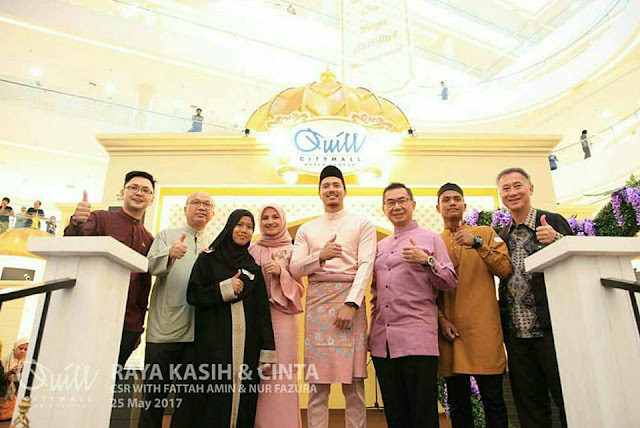 In conjunction with Ramadhan and Hari Raya Aidilfitri celebrations, Quill City Mall presented the Raya Kasih & Cinta themed Corporate Social Responsibility with Fattah Amin and Nur Fazura, the main casts in "Hero Seorang Cinderella" drama. 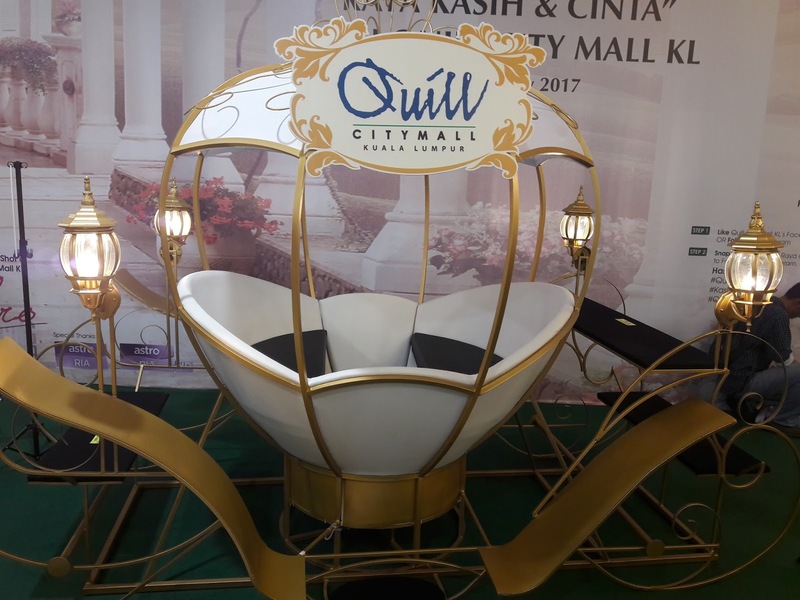 The casts are still shooting in the main atrium of the mall which as been turned into the Hero Seorang Cinderella theme for the Raya celebrations. If you are lucky, you might see the casts here. Performances to entertain the guests and shoppers. 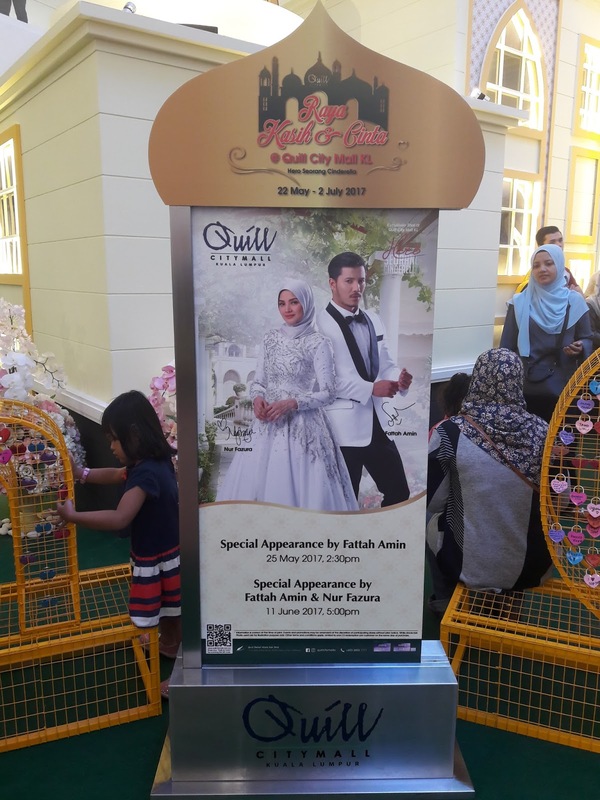 Quill City Mall welcomed a total of 43 children from Rumah Shifa Setapak and Rumah Bakti NurShaheera for a "Majlis Berbuka Puasa". They were also invited to shop for new stationaries and participate in various activities as well as games during the event. 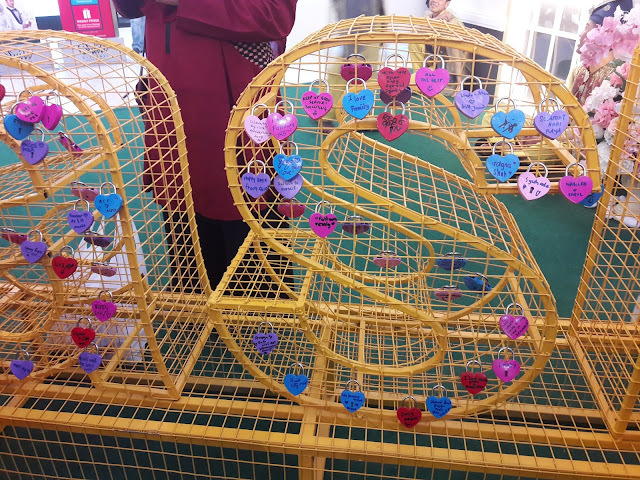 The orphanage children sealed their love with a customized love message written on Kasih & Cinta Quill Love Locks. It's our great pleasure to host this celebration of Raya Kasih & Cinta Corporate Social Responsibility initiative and spread the true meaning of Ramadhan to the children from Rumah Shifa Setapak and Rumah Bakti Nurshaheera. Love & Giving is the true meaning of this celebration. 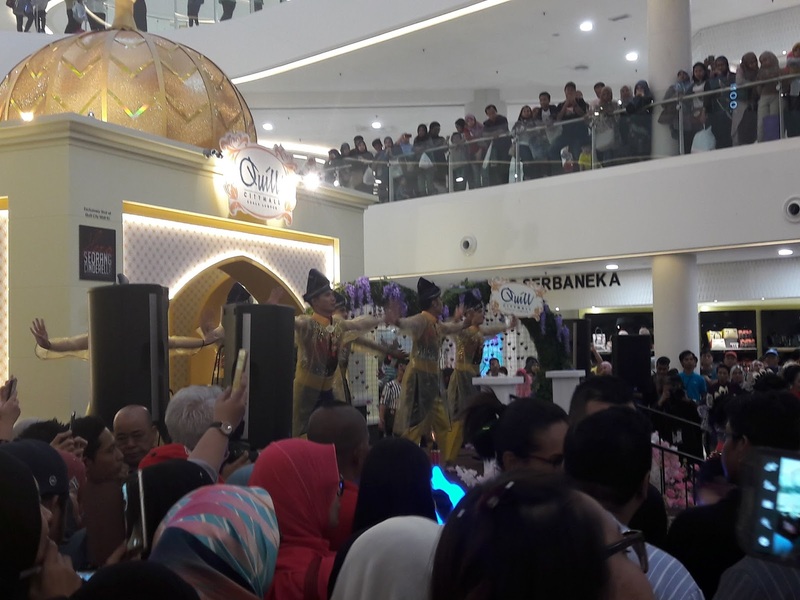 This is especially for the children to have a memorable experience for Raya this year, to bring joy and love to the underprivileged in the spirit of Raya Kasih & Cinta," said Dato' Ar. 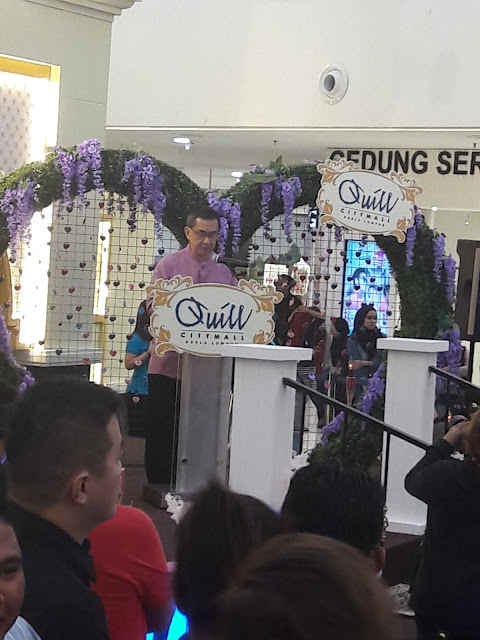 Michael Ong, Group Executive Director of Quill City Group of Companies. Dato' Ar. Micheal Ong, Executive Director, Ng Chee Kheong, COO of Quill Group of Companies, Joseph Teo, Vice President, Marketing of Quill City Mall Kuala Lumpur, together with Fattah Amin and Nur Fazura launched this event. 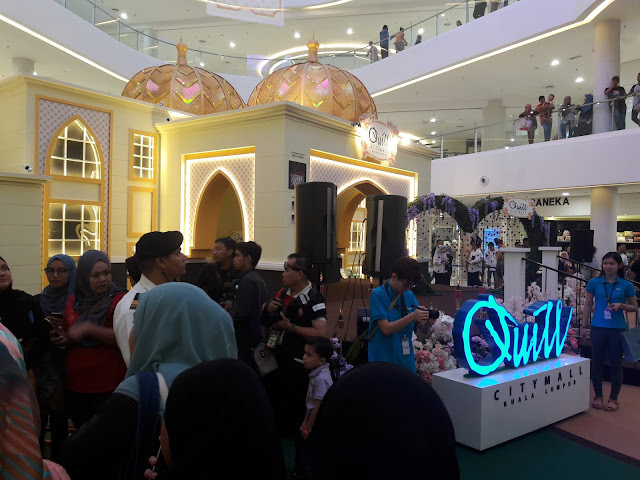 Later, there was the "Hero Seorang Cinderella" Book Signing Ceremony where the casts signed the HSC novels for their lucky fans. The children were given green packets and limited edition "Hero Seorang Cinderella" pillow. 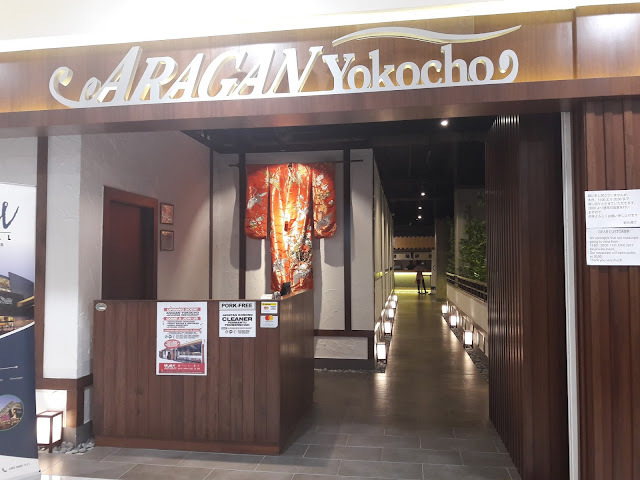 These children were later treated delicious Buka Puasa meals at Aragan Yokocho, a new Japanese restaurant serving authentic Japanese food. Aragan Yokocho is the first and largest authentic Japanese restaurant in Asia. 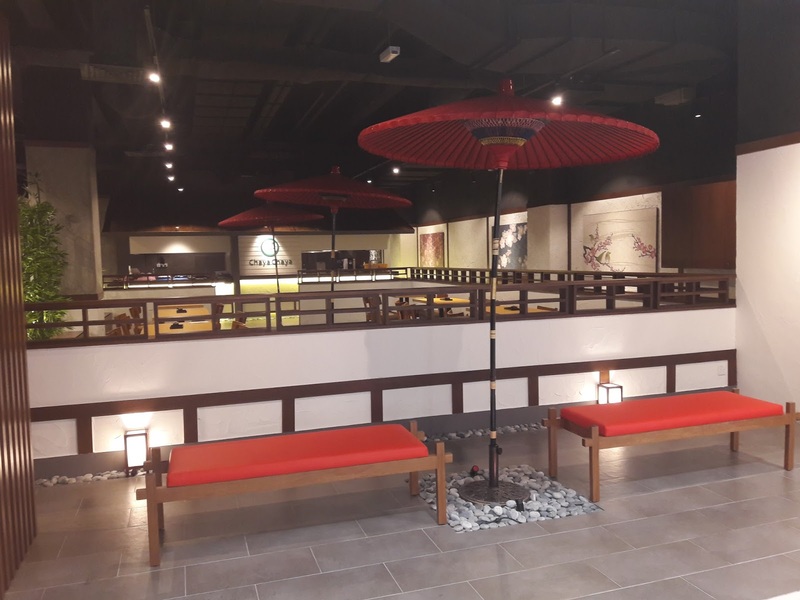 The restaurant has four different seasonal themed seating areas featuring the four seasons in Japan, spring, summer, autumn and winter. Even the meals are of different seasons too. 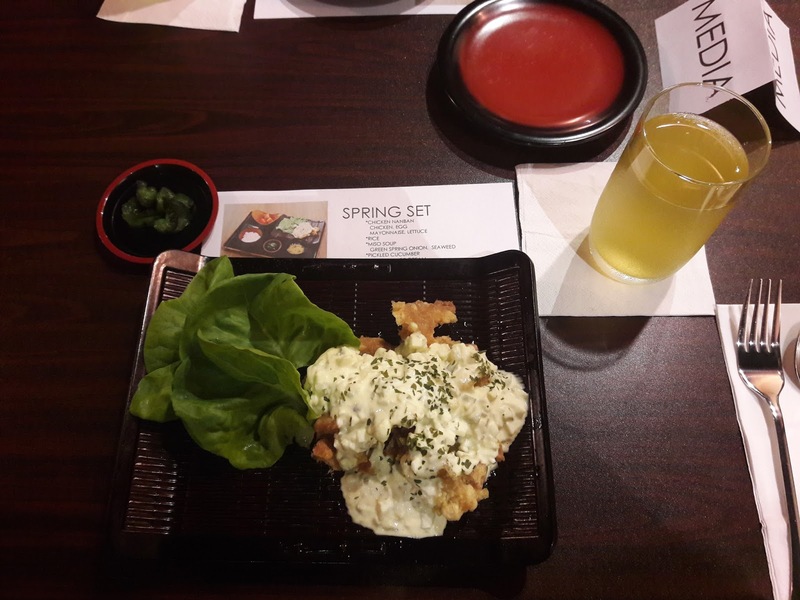 Spring Set - the fried chicken went well with the mayonnaise. 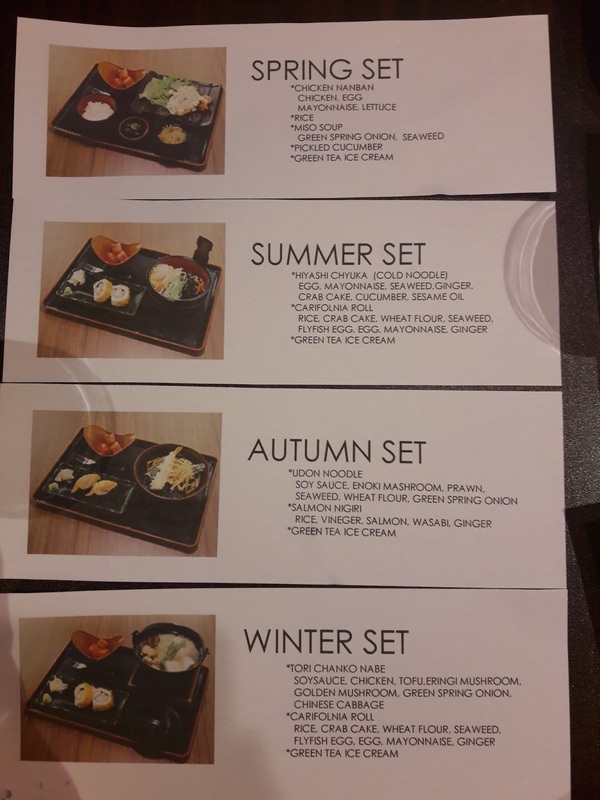 Winter Set - a very hot set as there is fire still burning under the pot. My daughter loved the mushroom and sushi from this set. 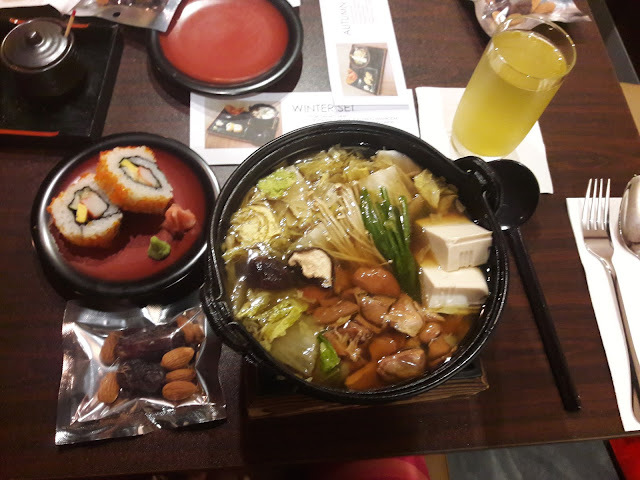 The soup was very tasty too. 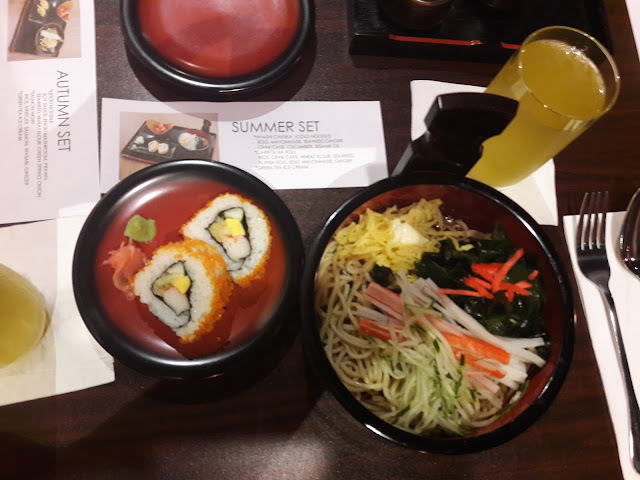 Summer Set - The noodles were cold but has a very special and delicious taste. Great to have this during hot weather. 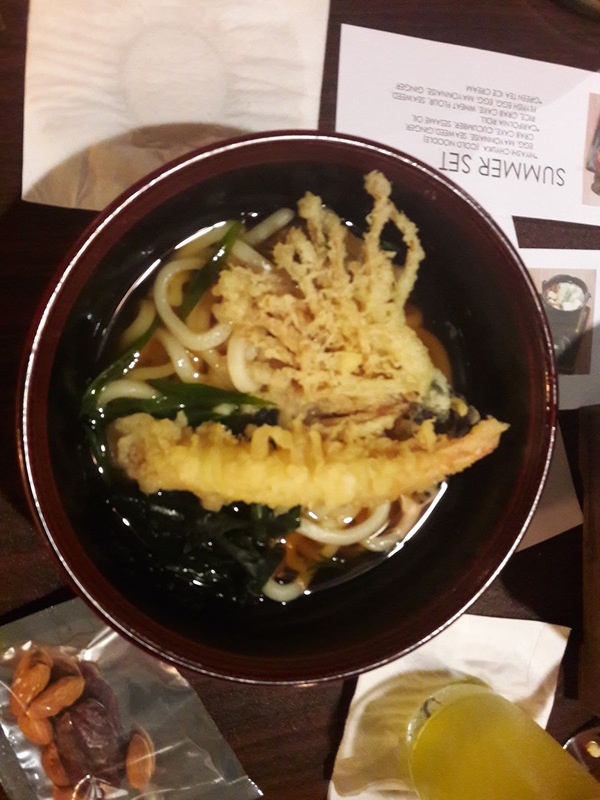 Autumn Set has a large tasty tempura and fried enoki mushroom. There is an ongoing Shop, Dine and Win Contest until 9 July 2017. You can be one of the lucky weekly winners to win these prizes. I realize I have many toys and clothes at home which my children have outgrown. I found out about Carousell from a friend and I think this is a very good online platform for selling and buying. 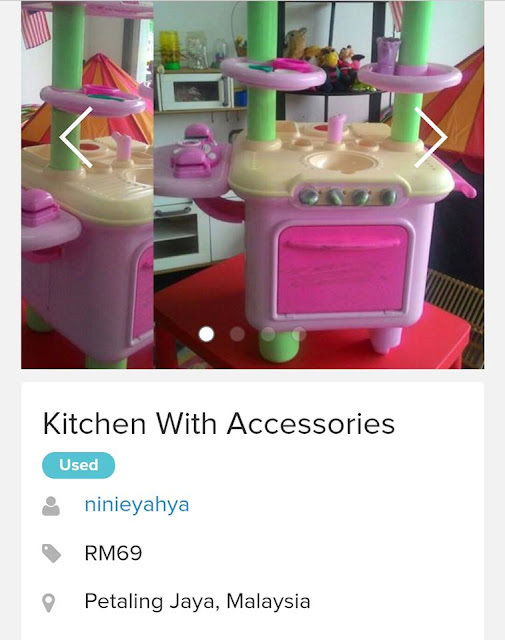 If you are like me and have lots of things at home which you do not need, you can sell them at Carousell. 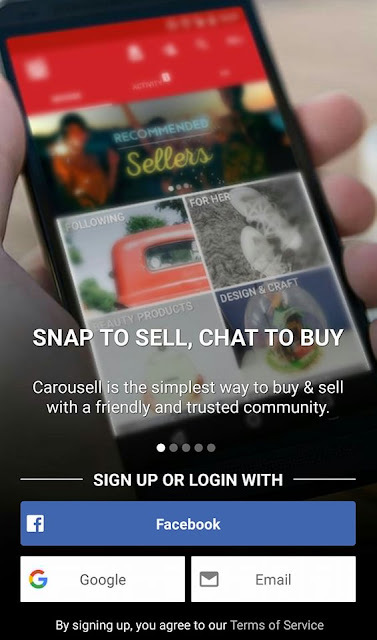 Carousell is an online platform where you can easily register an account and 'Snap to Sell' or 'Chat to Buy'. The items here are either new or used but in good condition. 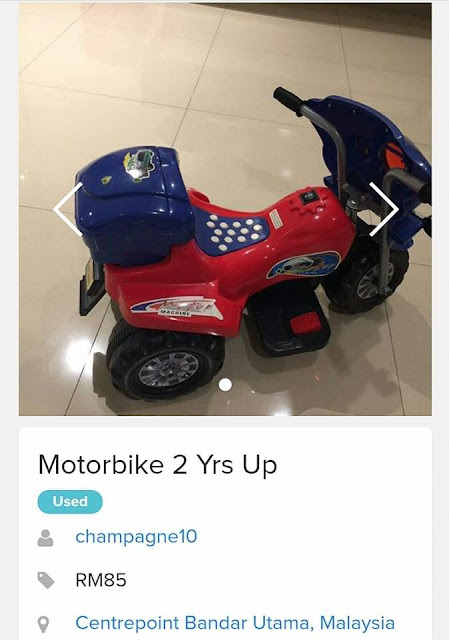 If you want to sell things, just snap a photo and upload it to Carousell. If you want to buy things, you can search for the item in the category, chat with your buyer, negotiate the price and meet up or arrange other methods of delivery. 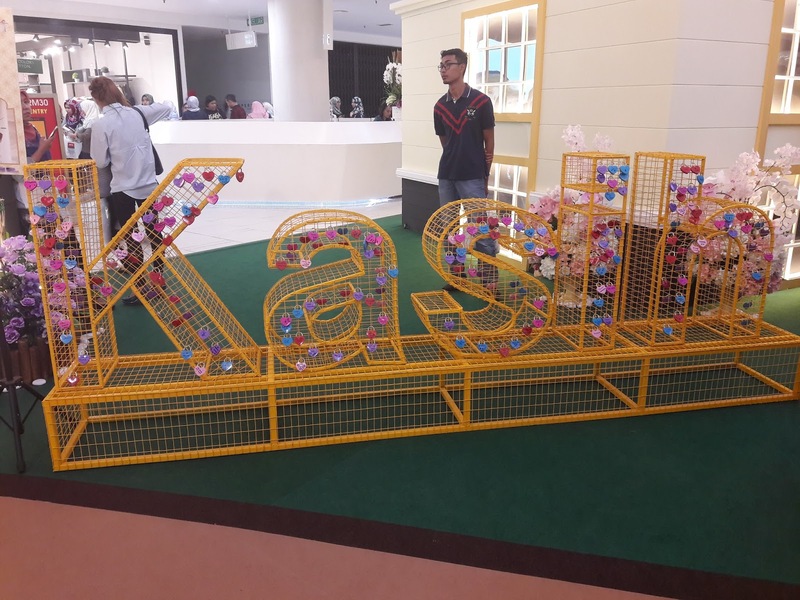 This app can be downloaded to your computer, mobile phone or tablet and it is easy and convenient for you to shop or sell whenever you want. There are many Baby Clothes and Toys that you can choose from and the price is reasonable. Here are some photos of the baby toys which I found from Carousell. This motorbike looks like a good toy for a toddler to play. The price is reasonable too. 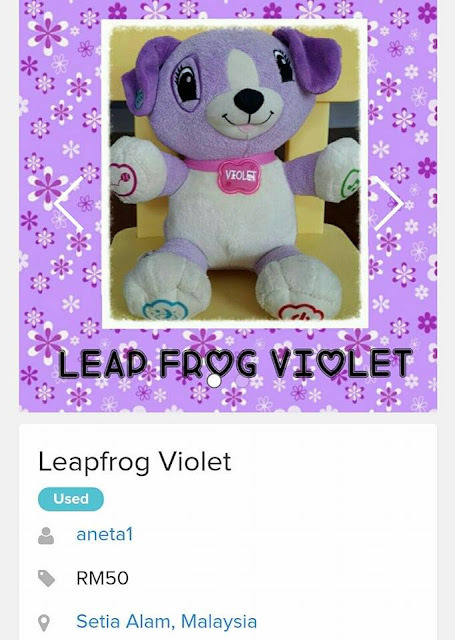 This Leap Frog Violet toy is very educational with songs and questions. It can play many songs which you can choose from and you can personalize it with your child's name, favorite food, favorite color and others by connecting it to a computer. My daughter has the exact same toy when she was 1 year old and it was brand new. If there was Carousell with all these baby toys then, I could have saved a lot of money. This is another interesting educational toy where children can role play and learn. A very cheap Tot Kid Musical Learning Table for toddlers. 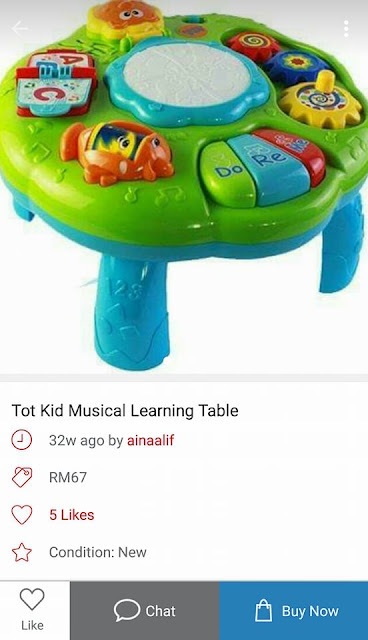 I love to shop at Carousell because it saves me a lot of time and money. I can shop at the comfort of my home whenever I want. For the baby toys and clothes which my children have outgrown, I will sell them on Carousell soon. You should try buying & selling from Carousell. 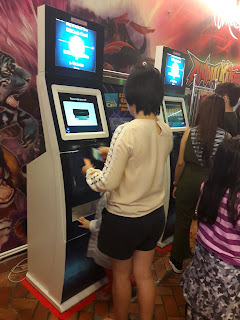 When I was young, I loved to play arcade and video games but after I got married and have kids, I seldom play anymore. 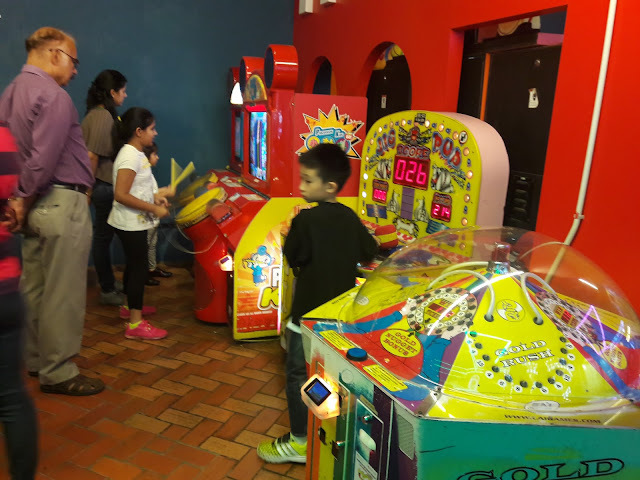 I usually bring kids to the arcade center to sit on kiddie rides or let them play other children video games. 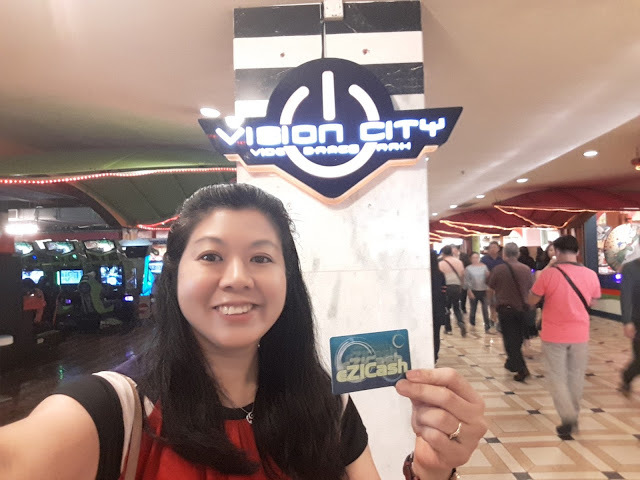 This school holiday, my kids and I went to Vision City Video Games Park, Resorts World Genting to have fun entertainment. 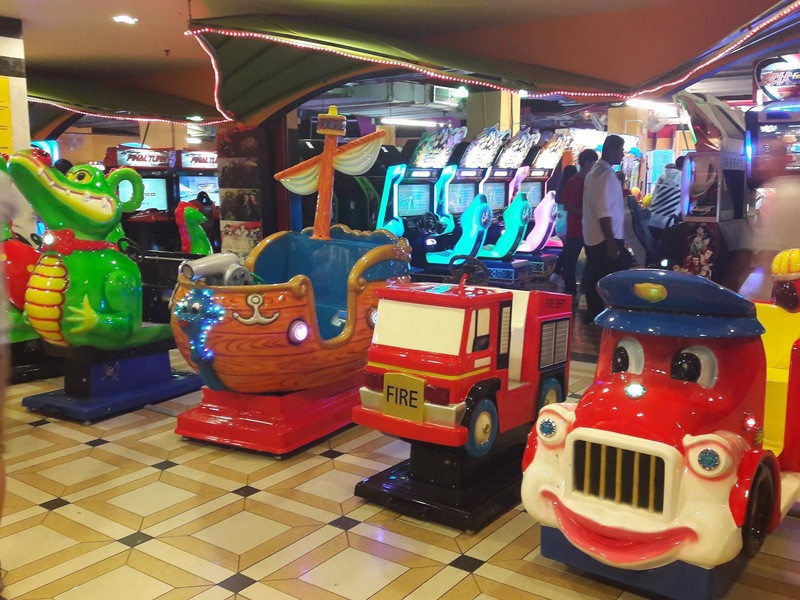 The Vision City Video Games Park is now more vibrant, bigger and better than before. It is like the rest of the resort with major transformation. 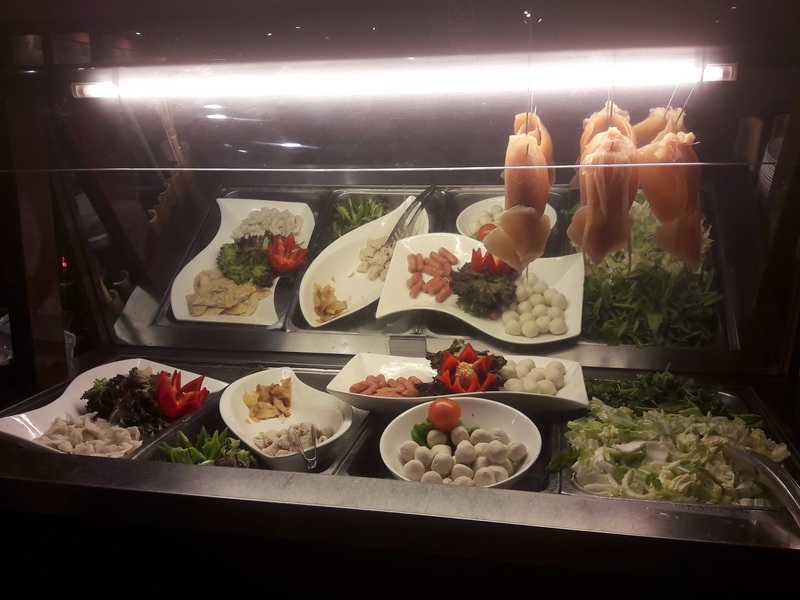 There is Sky Avenue Mall, Awana Skyway cable car, many F&B brands like London-based Burger & Lobster, France's Cafes Richard and Brooklyn-based Motorino which also adds to the excitement to your holiday here. If you come to Resorts World Genting, make sure you visit the Vision City Video Games Park for some adventure, unwind or relieve stress. 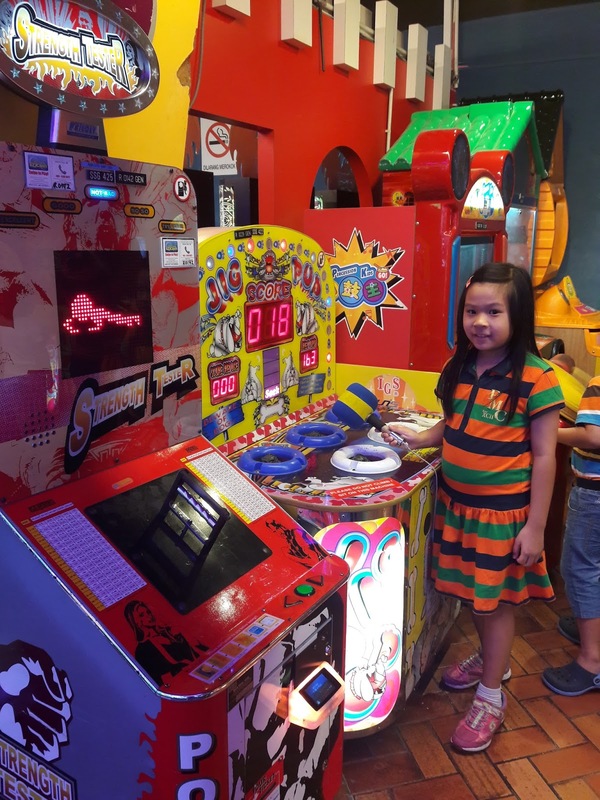 This place has games for the young and old and everyone will enjoy some fun and excitement. 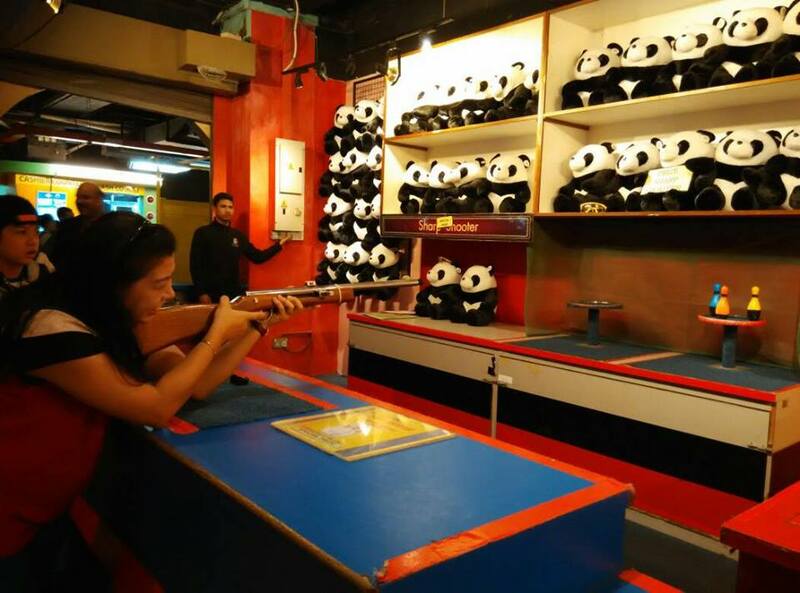 If you are skillful, you can try your shooting skills, throwing balls, spinning the wheel or tossing rings to bottles. 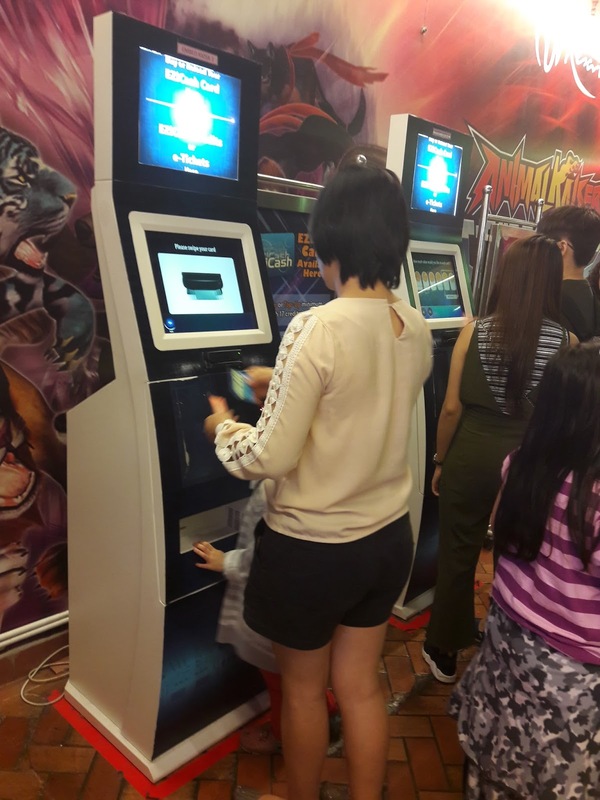 You can win the cute plushies on the spot if you are skillful or lucky. The higher the level of difficulty, the larger the prize. I managed to shoot down 2 pins. If you want tips, you need to shoot the left or right pin down first instead of the middle pin which is in front because when I shot the middle pin, it was blocking the left one making it harder to shoot to it down. 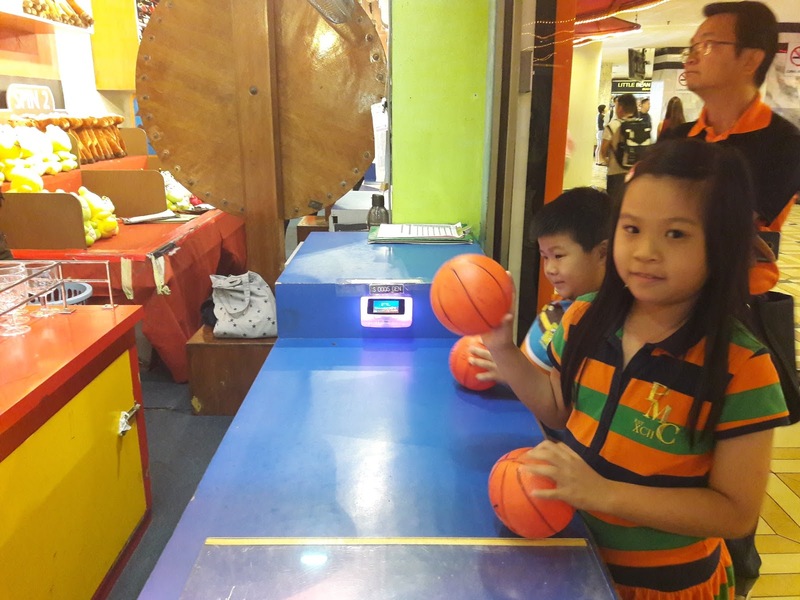 For this game, you need to roll the ball slowly without much strength. 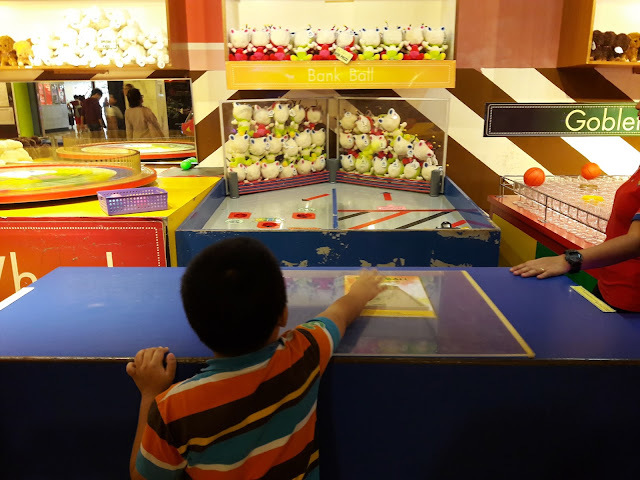 If you roll it hard or throw it, the ball will fall out of the table. 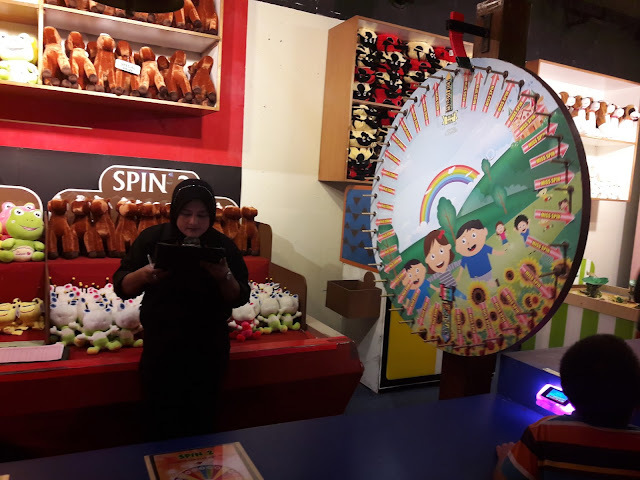 Spinning the wheel game depends on pure luck. Who knows, you might be lucky. Jumping Bee is a game of skill. 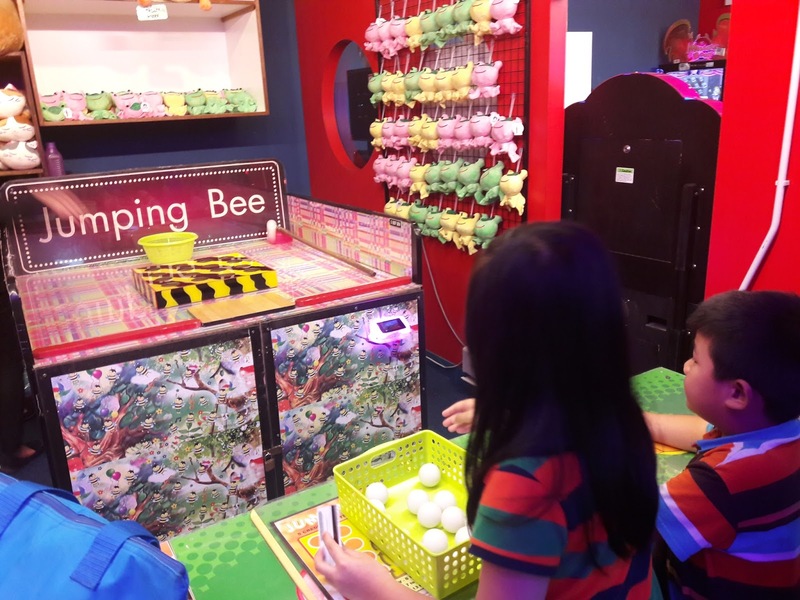 You need to get 7 balls in the hole to win. I managed to get 4 balls in. 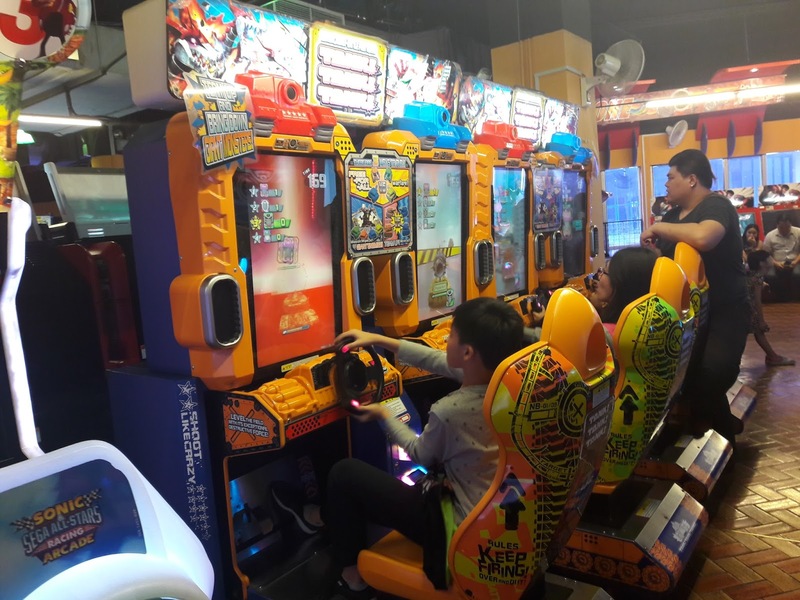 The lights, sound and all the excitement while playing at Vision City Video Games Park is a great place for your holiday when you come to Resorts World Genting. After our fun time here, we went to Rajawali, Awana for our buffet dinner. Other exciting things that are happening is the 10-year masterplan to transform to the new chapter which includes the opening of the world's first 20th Century Fox World theme park next year.